Bully for Them is an essential book that addresses the ever - present problem of bullying and of young people feeling they don't fit in. Many students believe that what happens at school shapes their whole lives, and too often this lack of perspective leads to distress, lost potential and tragedy. 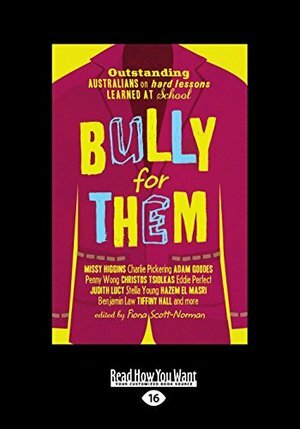 By focusing on the stories of well - known Australians who kids will know and admire, Bully for Them demonstrates that even the most successful among us had a hard time at school, and that being different can, in fact, be a blessing rather than a burden.